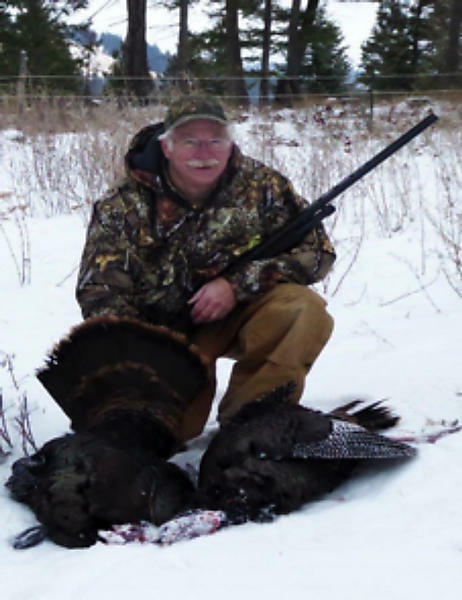 President's Message January 2019 — Flathead Wildlife, INC. The gift wrapping is long gone, the Christmas tree hauled out to the curb. Lots of good food and time spent with friends and family. Hopefully Santa listened to your hints and brought that outdoor gear you have been wishing for. But there’s still time for giving – giving back to the outdoors. The fact you’re getting this shows at least at some point you’ve been involved with Flathead Wildlife, Inc. It’s time to renew your membership. We need you – for ideas and information, numbers and funding. In return we’ll bring you great monthly meetings, analyze and comment on resource management plans, secure public access and continue to fight to preserve your hunting, fishing and trapping tradition. We’ll be needing some new officers, think about stepping up and helping guide club policies and programs, it is rewarding. Get a friend involved in Flathead Wildlife. They’ll learn something, meet some great people and there’s strength in numbers. FWI will be working hard during the upcoming Legislative session to bring you information on bills of importance to you and to speak on your behalf for or against bills. Flathead Wildlife, Inc. is the largest sportsman club in northwest Montana and legislators pay attention when we speak. Buy a friend a gift membership. Get someone new involved in the outdoors. It is extremely rewarding when you see the light go on in someone’s eyes. Taking kids out is fun, helps you recapture that youthful enthusiasm. But look for older men and women also, ones who are through school and settled into a job, looking for new experiences and challenges. Those kind of people are very likely to stay with the outdoors and become advocates. Offer some wild game to non-hunters and anglers. Show them you are serious about using the game you harvest, talk to them about the health benefits of wild game, the spiritual connection and that hunting and fishing, as part of conservation, are responsible for flourishing animal populations and protected open and wild spaces. Get involved in a FWI project. We have a lot of projects coming up – planting shrubs for wildlife cover, kids fishing days, building bluebird nesting boxes, putting benches around fishing ponds, veterans fishing days. Give back to the resource, you’ll find a lot of satisfaction and preserve the opportunities for future generations. We have the wealth of opportunity we enjoy because someone before us took the time to protect fish and wildlife, wildlife habitat and the access to them. Don’t just be a taker, give back. You’ll be richly rewarded many times over. The opinions stated are mine alone and do not necessarily reflect the opinions and policies of Flathead Wildlife, Inc.